Matching color and texture can seem impossible when something happens to your roof! Best case scenario you have saved a shingles bundle for these situations but even then, the wear and tear of older, faded shingles usually propose an issue. Specialty Roofing Repair can adjust different sides of the home that may not be as noticeable to fix and patchwork the problem sections. We will do our best to find as close of a replacement as possible. In many cases, the difference in color will hardly be visible. We will repair to ensure you always have the most valuable curb appeal after your roof repair is complete. Do not hesitate to call even if you have unique roofing such as clay tiles. Finding these tiles may take a little longer but we will work with the homeowner to make the best decision in repairing your roof damage or maintenance. 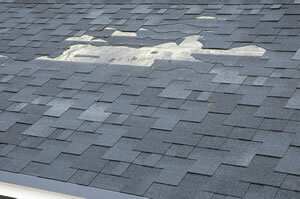 We will review sample shingles with you and offer our experience and specialty in the replacement. It's almost always possible to find a close match to existing roof shingles. Call Specialty Roofing Repair for Professional Assistance in the details! The primary purpose of a roof in Myrtle Beach is to protect your home from elements like as sun and dampness. These kinds of variables can change the coloring and shades of shingles. Sun exposure is the most common offender for color declining. How quickly shingles fade mostly depends on the strength and exposure of sunlight. The quality of the shingle’s material may also influence the rate at which the color fades. Newer shingles usually experience more immediate fading than older shingles. It is always tough, or possibly impossible, to predict whether new shingles will fade to become an exact match with remaining shingles on Horry County homes. It is ideal to utilize replacement materials from the same lot number when replacing shingles separately. If homeowners are able to save extra unused shingles once a roof is laid they are best stored indoors to avoid uneven and early fading. If you do not have access to the original shingles, we can try contacting the crew that initially installed the roof. It is possible the original installers and manufactures may be able to provide accommodating information for matching the materials, down to the original lot number, or may recommend an appropriate replacement. Specialty Roofing Repair will have helpful tips for repositioning existing shingles to create a more appealing, quilt-like appearance. Roof Leaks and gutter leaks can cause significant structural damage by the time you even notice it is an issue. It may have already caused momentous structural damage that is not possible to see from the ground. Ignoring roof leaks will usually create a significant risk of sudden and catastrophic damage. The damage can go deep through your roof, home and possessions in life-threatening weather. Leaving the leak without attention can cause irreversible structural damage and cause a major, and unescapable restoration destruction. In our experience, we have seen many homeowners suffer needlessly, simply because they didn’t respond to the first signs and warnings of roof water leaks. The first indications of a leak may be as simple as a subtle string of water running down an interior wall, or there may be a small drip in a home’s room. Occasionally the only indication is a sudden loss of power. If it’s been raining, and your power is out but your neighbors still have power it is possible the water and moisture has shorted out some electrical wiring. Any water that infiltrates the home needs to be taken seriously as it may be just the beginning of the damage. Plasterboard ceilings and walls are extremely vulnerable to moisture damage. They are very absorbent, and little to an abundance of moisture completely degrades the essential strength of the panel. Moisture also adds an enormous amount of weight to a material that is designed to be dry and moderately light in weight. The additional heaviness and degraded lateral strength can cause ceilings to ruin without warning. Moisture also causes the panels to swell, altering the even surface and position with other panels. This often leaves no choice but to replace. Even if walls do not appear damaged, they will need to be detached so that wet insulation can be removed giving the timber frames time to dry. This will also prevent any long term damage. Your home’s floors become the inevitable gathering point for any water penetrated through your roof. It is possible to save carpets by hiring a professional carpet cleaner in to remove the water and clean. Often repair is not possible and your floors are ruined. Laminated timber panels on top of a concrete floor are also very susceptible to water damage. Homeowners must act immediately to save this style of floor. Even a small amount of water can do tremendous damange to furniture or electrical equipment such as computers, TV’s and sound systems, a little water can do a lot of damage. Mold is a treacherous problem that you may not notice at first. It can cause a variety of health problems, including allergies, and breathing and skin problems. Some types are so highly toxic that they can be classified as critical. Mold can cause permanent damage to ceilings, interior walls, insulation and floor coverings. When mould begins to grow on the absorbent surface of walls and ceilings, it is often not possible at all to remove completely. While bleaches and commercial mould sprays can remove the mould from the surface very effectually, the spores that remain buried deep inside the panels ultimately cause the mould to resurface as a dreadful black tinge. Not only is the mould hideous, it causes paint to lift and damages the surface of the plasterboard. Mold can cause structural damage. The fungal spores penetrate the surface of the supportive timbers causing Wood Rot that turns the timber into a rotted tissue. Wall insulation is a key health problem if it becomes wet. Stuck within the wall cavity, insulation absorbs moisture, and it isn’t able to dry due to an absence of circulating air. Floor coverings that aren’t dried following water damage, will almost definitely become a holding place for mould.